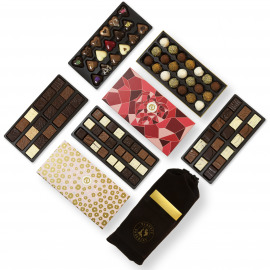 Want to show your mom how much you love her? 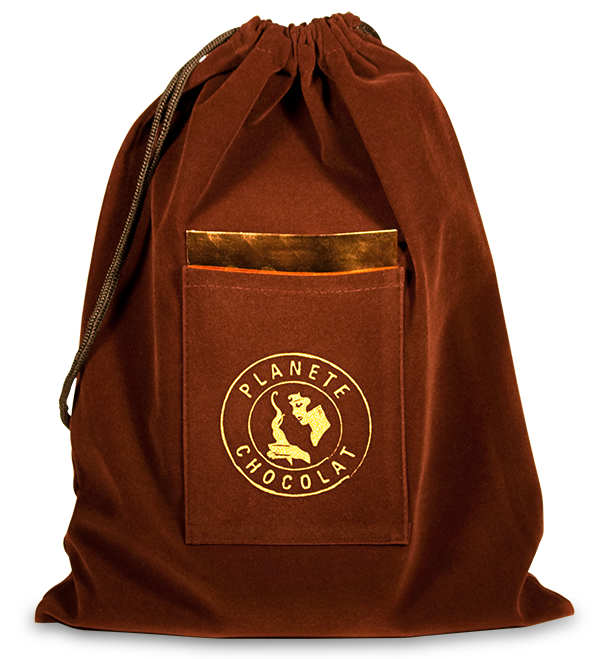 We love our moms and Planète Chocolat's celebrating Mother's Day with a pretty box of delicious chocolates for them to enjoy. 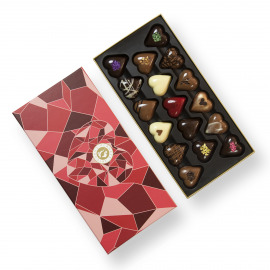 Our master chocolatiers have made 17 heart-shaped pralines with various fillings: Ginger, raspberry, tiramisu, mint, rose, pistachio, cocoa or coffee. 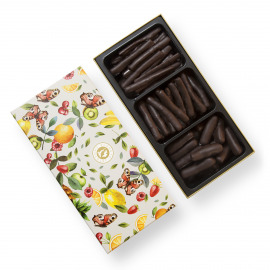 The box also contains a single, hand-made chocolate heart .You can ask for the name of your loved one to be on written on this chocolate-coated praline. There's nothing greater than a mother's love. 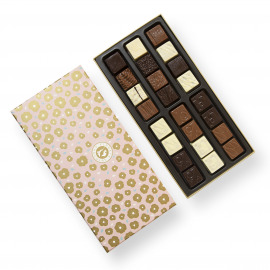 Our moms mean the world to us, so why not treat them to a box of hand-made Belgian chocolates! 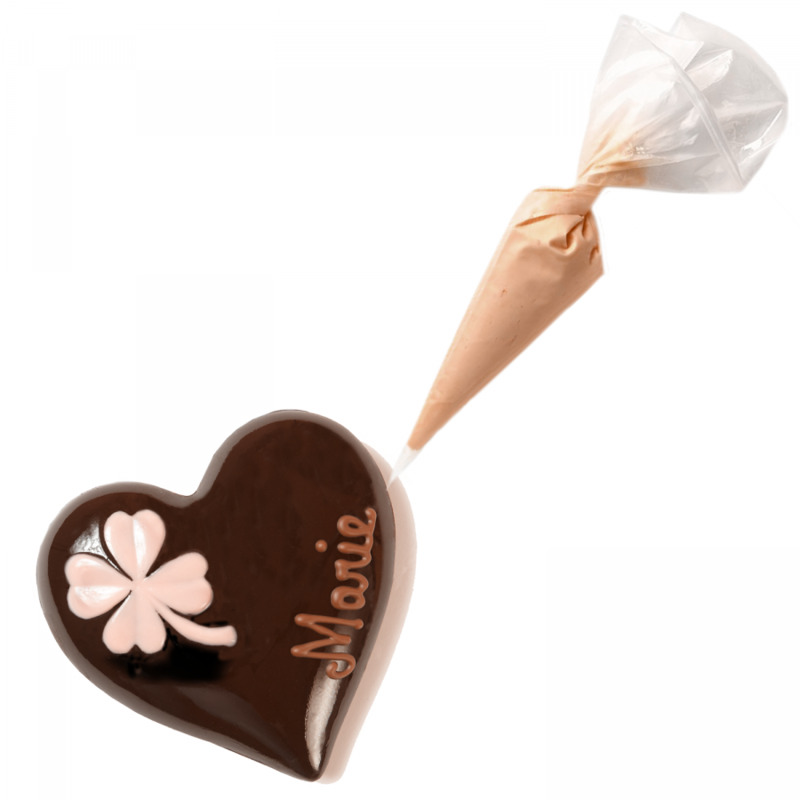 Your mom will love these delicious chocolate hearts, particularly if you gift them with a card telling her how much she means to you.